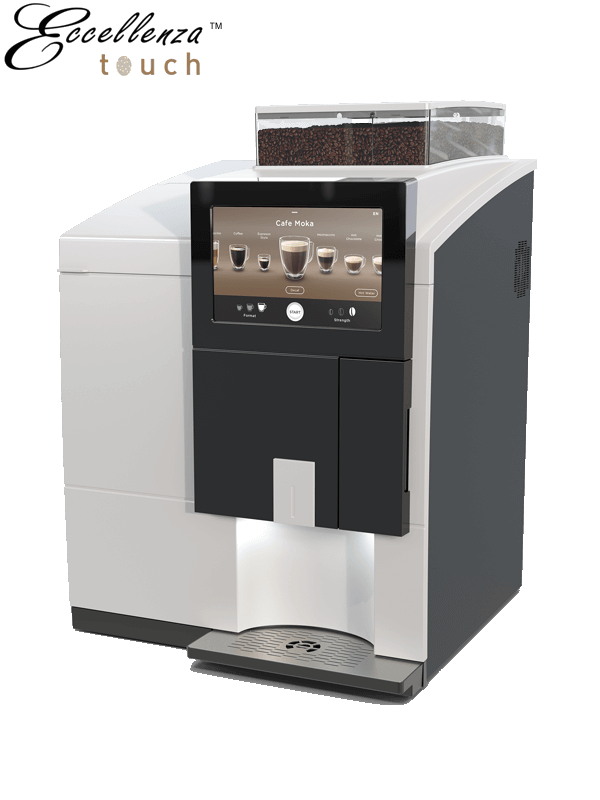 Introducing the Eccellenza Touch Bean-to Cup brewing System! Servers coffee, hot chocolate, mochaccinos, lattes + cappuccinos also hot water. Review: Performance and durability is exceptional. We give it 8 out of 10. Designed for small offices and home offices of up to 30 people, the K150 uses a full touch LCD screen. Free K-cup coffee with trial. The K150P can be directly connected to the cold water line. Back-to-back brewing every 60 seconds. Review:Performance and durability. Exceptional delivery system and extra hot at 198 °F. We give it 10 out of 10. 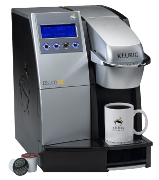 The OfficePRO Brewing System is an ideal single-cup brewing system for your home office or small office and conference rooms. Free K-cup coffee with trial. Review: Performance + durability is exceptional. Most durable of all keurig coffee makers. We give it 9 out of 10. The single serve-coffee brewer that is taking over the market. 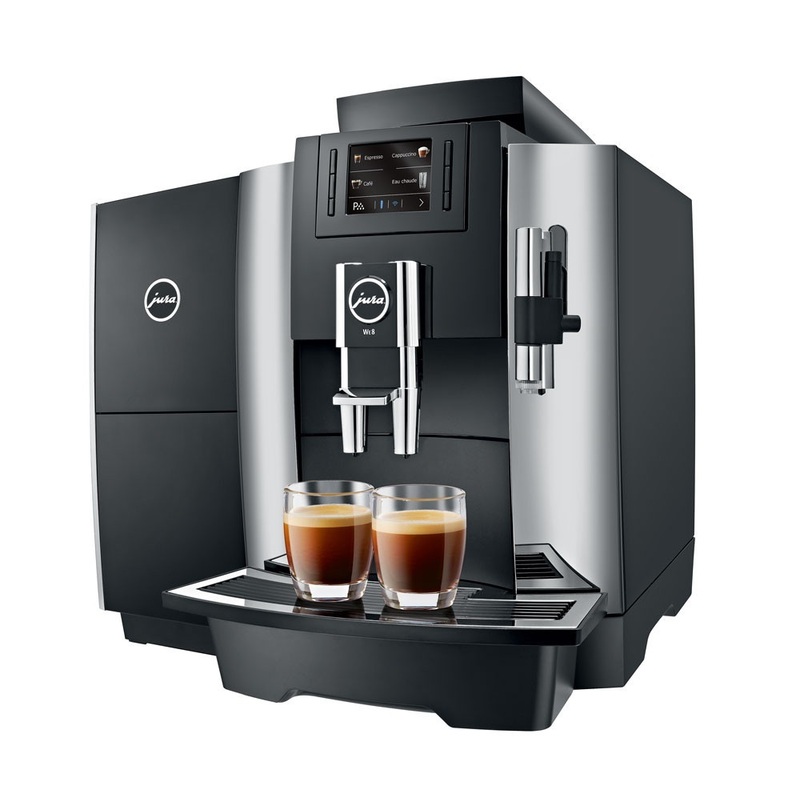 Keurig was developed with convenience and ease-of-use in mind. Free K-cup coffee with trial. Review: Performance and durability is exceptional. The auto-eject feature of used k-cups is a bonus. We give it 9 out of 10. 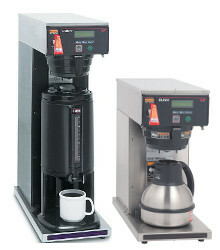 Use a Bunn digital thermal brewer for that Canadian coffee shop taste at the office. It also includes a large volume of hot water for teas, soups, and noodles. Review: Performance and durability is good. Best for high volume areas. We give it 8 out of 10.
Review: Performance and durability is exceptional. We give it 10 out of 10. 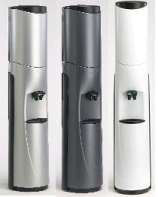 Provide unlimited amounts of high-flow, clear, filtered drinking water without the inconvenience of bottles.